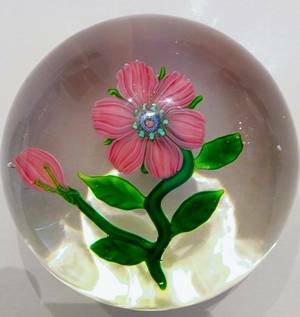 This rare Baccarat commemorative paperweight from 1858 sold at an L.H. Selman auction last year for $55,000. On Sept. 17, an auction will feature nearly 400 paperweights from the Art Institute of Chicago, with bidding starting at $1,000. He may intimidate paperweight peers, but I’m withholding his real name not out of personal fear but because Frankenstein is an otherwise polite 71-year-old retired chemical industry executive who doesn’t want strangers to know he owns a collection of valuable antique paperweights, including some worth more than my car. He’s about to get a chance to add museum-worthy gems to his collection, thanks to next month’s auction of paperweights that reside at the Art Institute of Chicago. 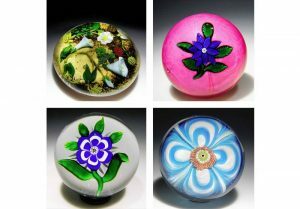 These four glass paperweights are indicative of the quality of about 400 paperweights currently at the Art Institute of Chicago that will be auctioned off to the public on Sept. 17. While some individual paperweights are expected to be worth five figures, bidding on groups of two to four begins at photo1,000. Hooked, he learned more through research and books, such as “The Dictionary of Glass Paperweights,” by Paul H. Dunlop. Frankenstein still has his original paperweight. Another of his favorites is a “scrambled” piece by Italian artist Pietro Bigaglia. 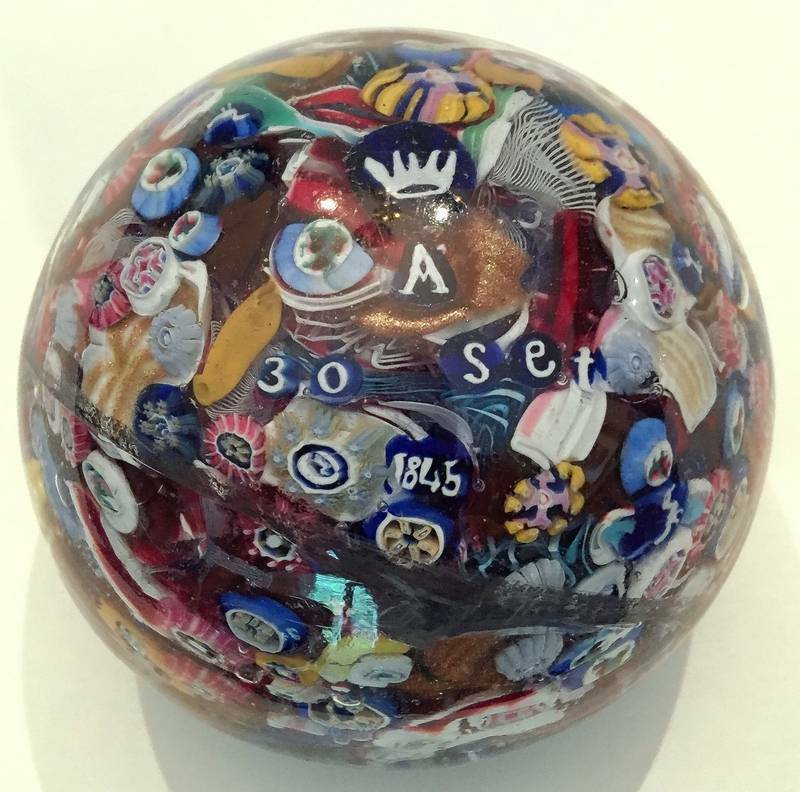 The paperweight features lots of colorful and intricate items, including a crown, since it was made for the Queen of Greece to commemorate her visit to Venice on Sept. 30, 1845. “What a nice souvenir,” Frankenstein says. 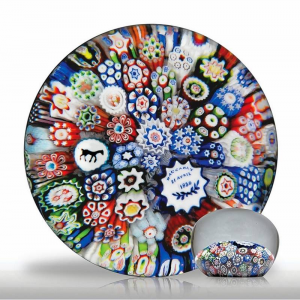 But sentiment doesn’t play a role in his collections, he insists, telling of how he recently passed up a chance to buy a box full of interesting paperweights because none was worth more than a few dollars. This entry was posted in Artists, Blog by Ben Clark. Bookmark the permalink.